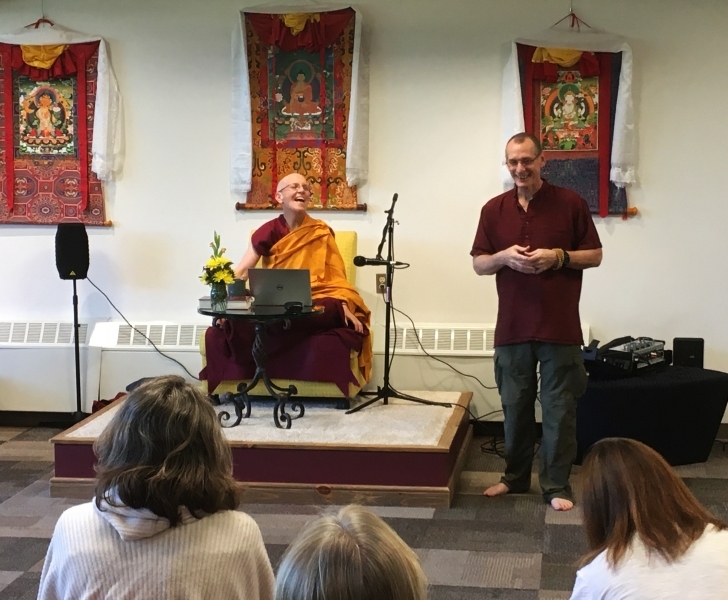 The Way of Compassion Dharma Center is the first of its kind in the Roaring Fork Valley. It is a gathering place for Buddhists and non-Buddhists alike to listen to, study, and meditate on the teachings of the Buddha. 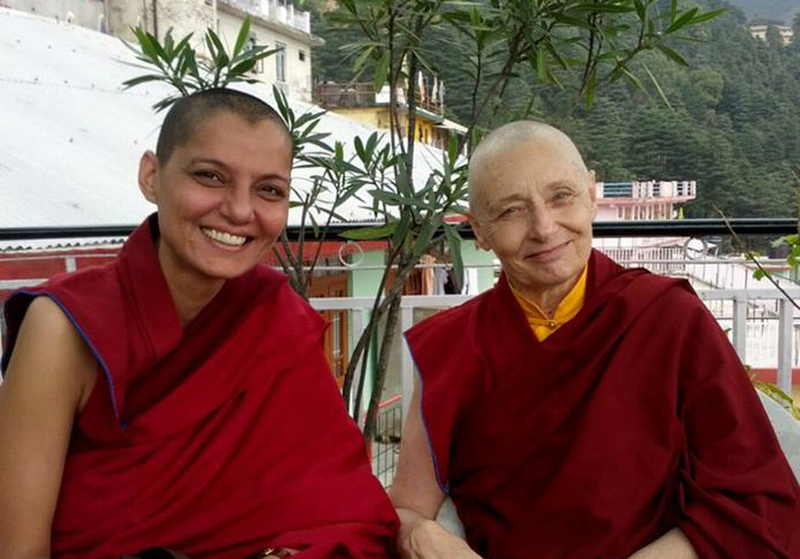 As a traditional center, we never charge for the Dharma and offer all of our teachings a donation basis. 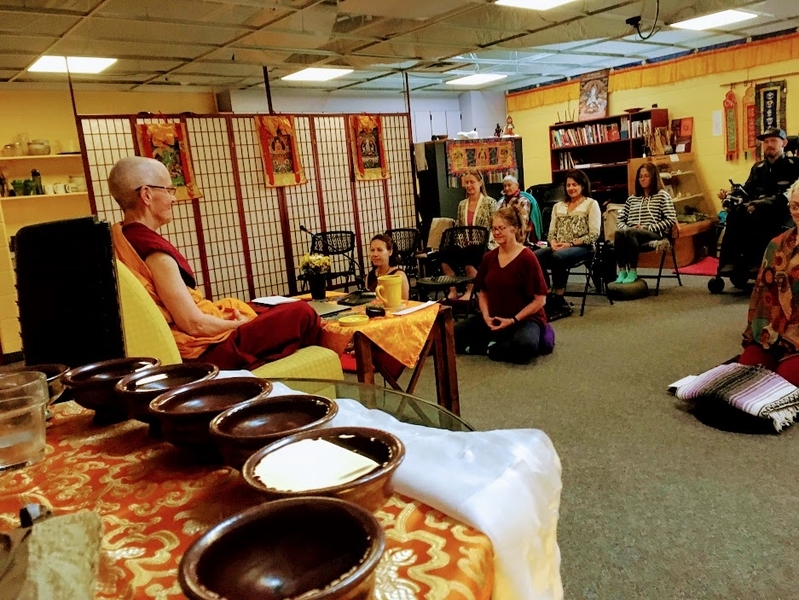 Our vision is to create and sustain a center dedicated to the cultivation of wisdom and compassion through the study and practice of Buddhist Dharma. We seek to provide teachings that are authentic, from qualified teachers, and practical, helping us meet the challenges of this modern world skillfully, reducing suffering and cultivating our highest potentials. In addition to our resident teacher, John Bruna. 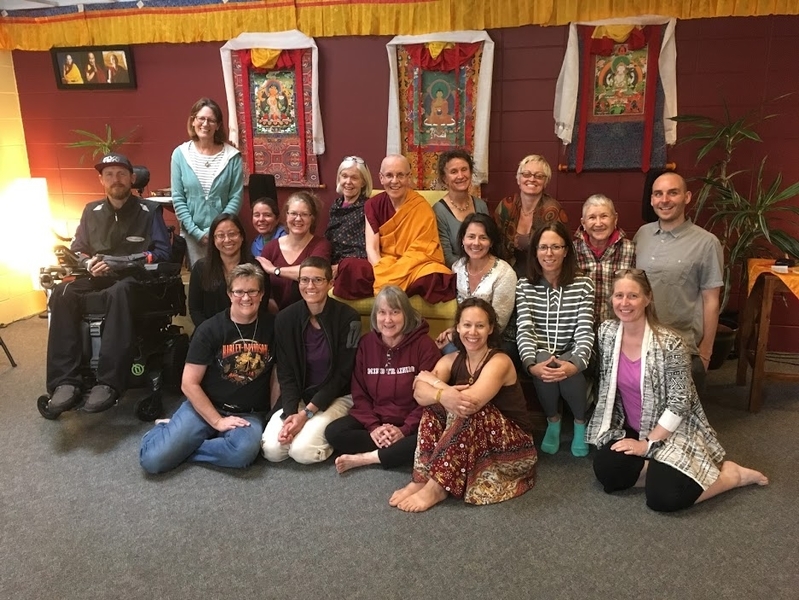 We host visiting teachers such as Venerable Tenzin Priyadarshi, Venerable Thubten Semkye from Sravasti Abbey, the monks of Gaden Shartse Monastery, Venerable Gyalten Samten, and others. You can make a one-time or recurring tax-deductible donation using the donation button below. Thank you for all of your kindness and generosity. Together we can grow and nurture the seeds of compassion and wisdom here in the Western Slope of Colorado!